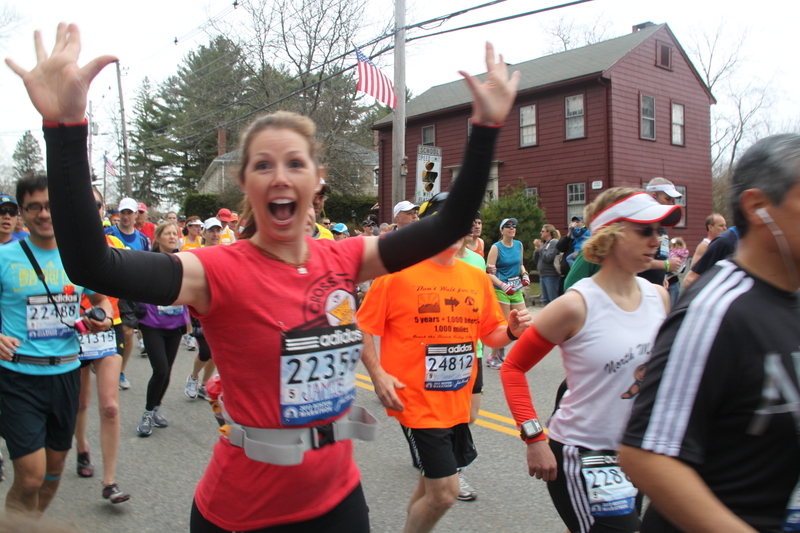 Jamie and Treavor moved to Hopkinton in 2007 and have had their sights set on running the Boston Marathon ever since. They are excited this year to be able to say they are running for the Hopkinton Public Library Foundation. 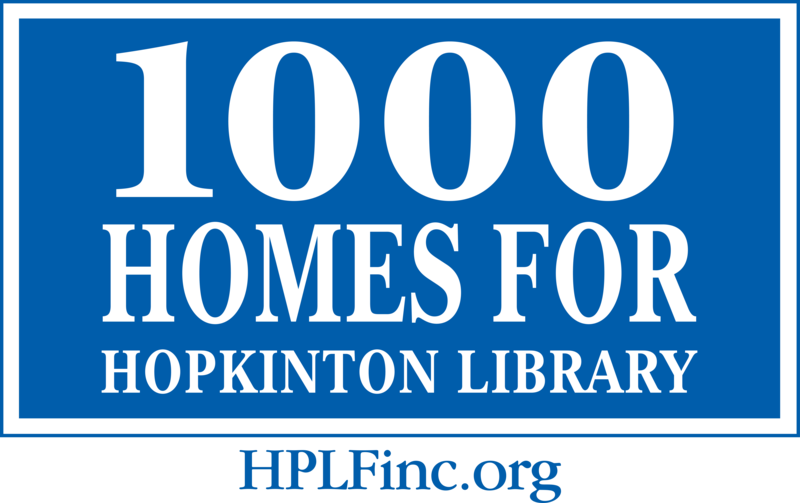 They believe that the renovation and expansion of a public library in Hopkinton would add to this community by giving the residents not only access to information and knowledge through books and technology sources, but also as a meeting place for residents to gather. From the children meeting in a room for story hour, to the teens having a meeting place for after school, to the book clubs and specialty interest groups that meet on a regular basis, everyone would benefit from this new facility. Treavor and Jamie met in Charlotte, NC and have been running races ever since, completing their first race as a relay marathon in 2001. After that they ran several half marathons and finally a full in 2006 in Charlotte and again in 2008. They also ran the Dunkin Donuts marathon on the Cape and Jamie ran the Clarence DeMar Marathon in Keene and the Race Around the Lake in Wakefield. The most recent race they completed together was the North Face 50K in Bear Mountain in 2011. The next day they did the Tough Mudder in Mt. Snow Vermont. Treavor and Jamie also enjoy mountain biking together. Treavor has completed a few solo 24-hour mountain biking races, including the 24 hours of Great Glen at the base of Mt. Washington. They also completed a 12-hour race together. Jamie and Treavor enjoy being outside and staying active and encouraging their two children, TJ and Sophie to do the same. They don’t talk about their PRs or finishing first, but focus on the enjoyment of the endurance race and competing with oneself by testing their inner personal motivation and mental toughness. Jamie is a former middle school teacher and Treavor is a Tax Partner at PwC in Boston. Since moving to Hopkinton Jamie has stayed home with their two children and gotten involved in the community through the Mom’s Club, Hopkinton Youth Soccer, as well as volunteering in the schools. When she has the time she also enjoys being a consultant for Heritage Makers, a digital scrapbooking company. Treavor enjoys taking the kids to their sporting events on the weekend and staying involved in the community by coaching when he can.